As early as the 1870s, the Brandlin’s settled on these steep, rocky slopes, and became grape growing pioneers in Napa’s Mount Veeder region. With over 50 years’ of experience, Henry Brandlin staked the family’s claim to this estate and planted their own vineyards in 1926. 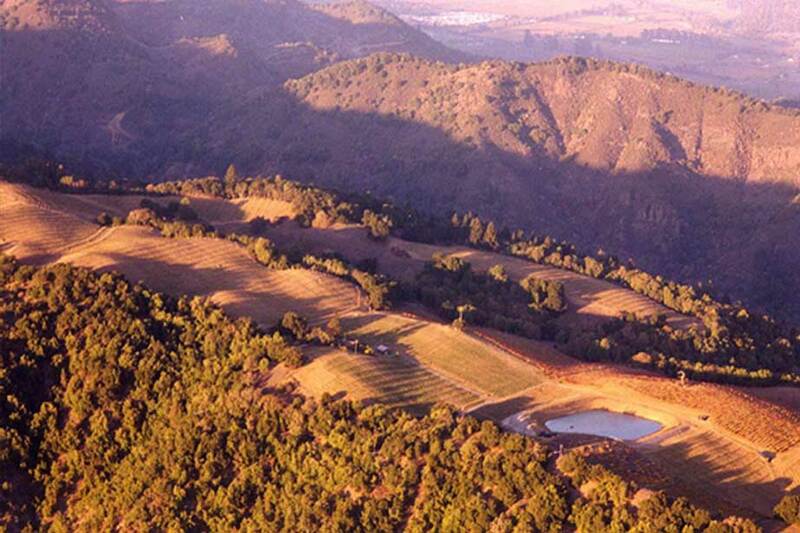 In 1998, Cuvaison Estate Wines was honored by Henry’s son, Chester Brandlin, with rights to purchase Brandlin Vineyard. Respectfully maintaining the integrity of the estate, only a fraction of the land has been planted to vineyards carefully designed to honor the integral beauty of the property. Glens of old oak trees and sustainable viticultural practices support natural biodiversity and abundant wildlife. Since 1969, Cuvaison has helped define the modern era of Napa Valley winemaking and has played a key role in introducing luxury Napa Valley Chardonnay and Pinot Noir to the world. An early pioneer of the Los Carneros region, Cuvaison has championed vibrant and vineyard-driven expressions of exceptional cool-climate wines.